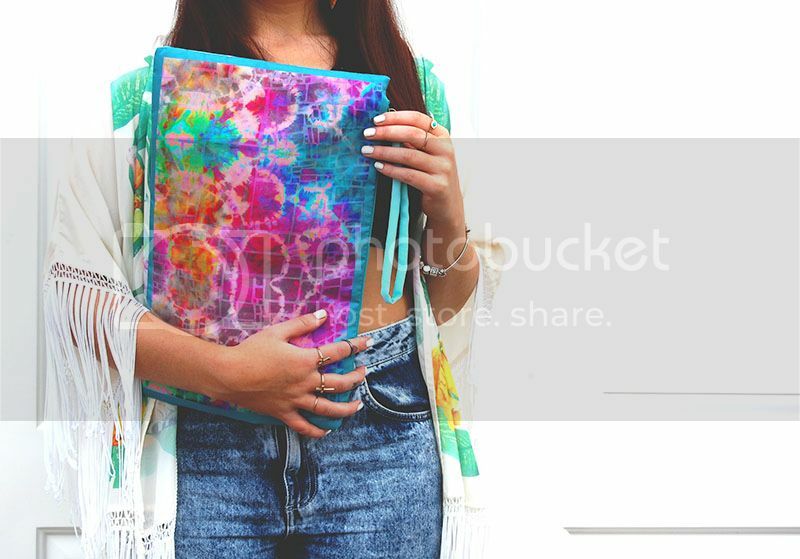 If you love bright and colourful brings you'll love these scarf and clutch bag designs by Nicola Brighton Design. Recently launched, Nicola Brighton's accessories label has already caught the eye of publications such as Cosmopolitan and is currently stocked in local online stores The Collective Boutique and The Little Deer, and London ecochic store Kitty DoLittle. 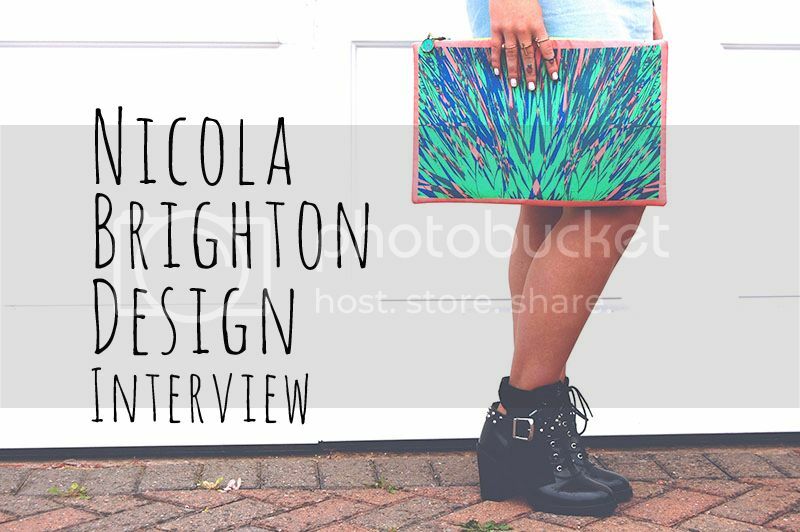 I'm a huge fan of nature, tribal and travel inspired fashion accessories, so naturally I'm head over heels in love with Nicola Brighton's designs. Have you always been a designer at heart? Ever since I took my GCSE in fine art, I knew that I wanted to go down the creative route. I have always being massively interested in fashion, but I decided to turn this into a career opportunity after finishing my Textile Design degree at university 3 months ago. Realising how hard it was to get a job in fashion, I decided to just give it a go and launch my own collection of designs! How did you get into digital designs? I discovered digital design whilst studying printed textiles at university, I much prefer it to the other option of screen printing! I love combining, photography, textures, drawings, pattern and colour through Photoshop manipulation, giving a much cleaner, precise, digital finish. What is the process of making your prints? I initially start with generating lots of different primary material, such as photography, textures, drawings, pattern, colour palettes etc, which I then use as my source of imagery for the prints. After then scanning all my different ideas into Photoshop I play around, combining all the different techniques to see what works and what doesn't, which is the part I really enjoy! I love your themes of the tropics, travel and Kaleidoscope 70s vibes, how did you come across this inspiration for your prints? I came across a S/S 2014 trend on WGSN called 'Next Nature', which inspired me massively! I used this as my source to conduct further trend research, into rainforests, carnivals, spiritual imagery etc, to create the colourful bohemian vibe I was going for. A trip to Kew gardens was also a great place to visit, as lots of drawings and photographs I took there, have being transferred onto most of my prints! 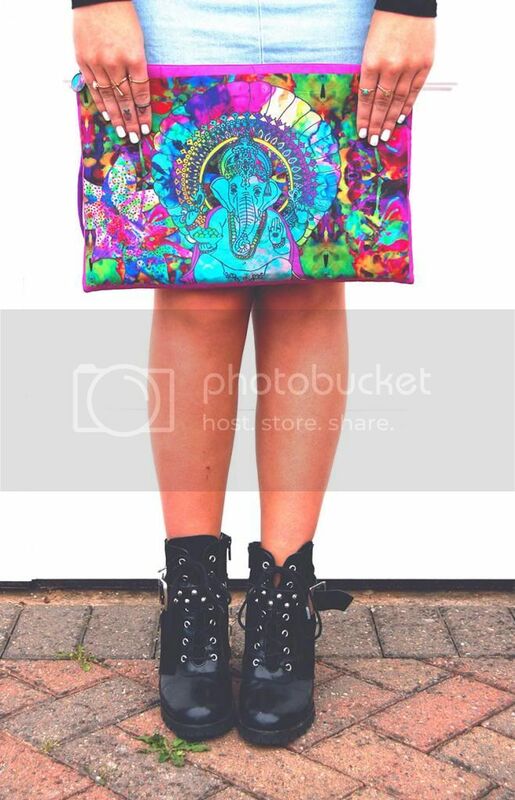 At university, I named this particular collection 'Kaleidoscopic Jungle'. If you could collaborate with any brand, store or celebrity, who would it be? I would love to collaborate with brand 'Mink Pink' cause I love their fun, quirky and colourful style, I think my design style would fit well with their prints. Obviously, it would be a dream to collaborate with Topshop, or even have a concession in their store also! 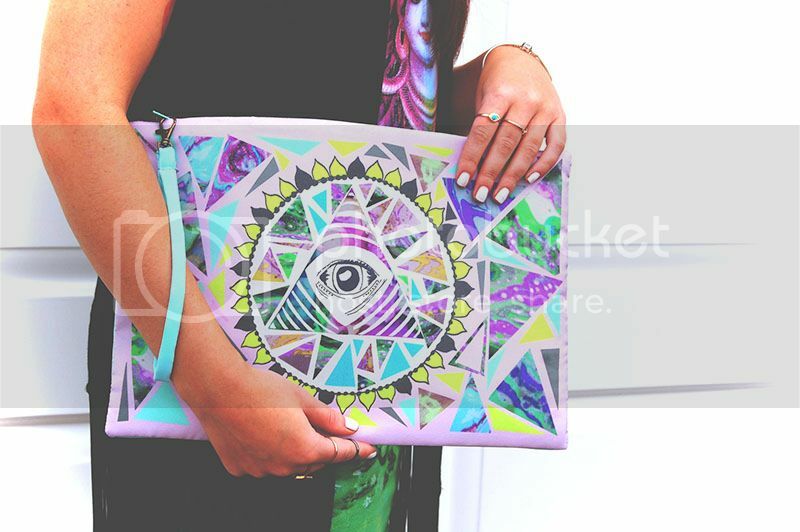 We've seen your bright and colourful designs on scarfs and bags, whats next? Well, I'm really hoping if it takes off, that I want to move onto producing a S/S 2014 clothing collection, filled with lots of bright quirky prints...watch this space! 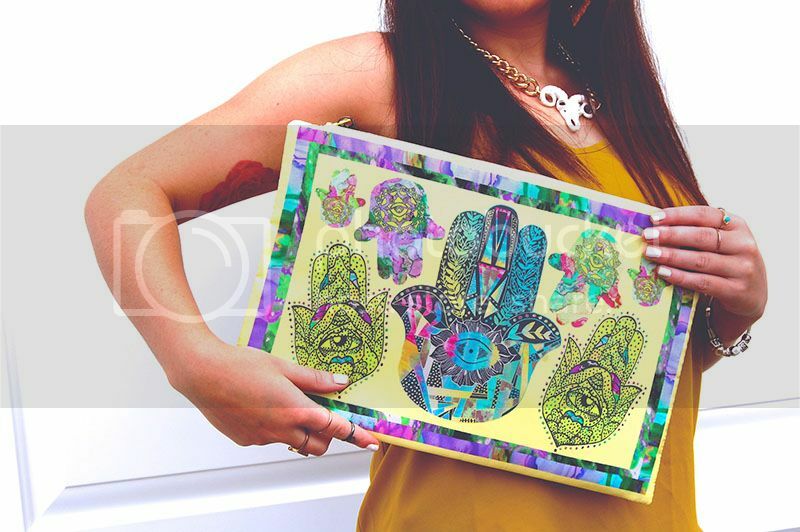 Keep up to date with Nicola Brighton Design on Twitter and Facebook! All images are credited to Nicola Brighton Design. Wow, those prints are pretty amazing! I just love the digital prints, Nicola is so very talented - thank you for sharing lovely. Oh wow, I love these designs. The colours are amazing, so cheery. 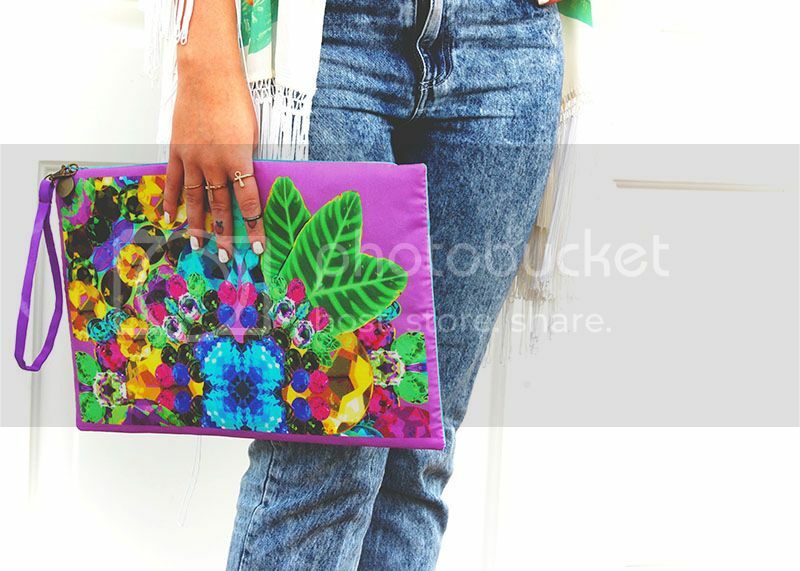 Wow, I love her designs they are so bright and unique! Thank you for sharing I probably would never have found out about her! omg, so amazing designs! love all! Amazing prints! 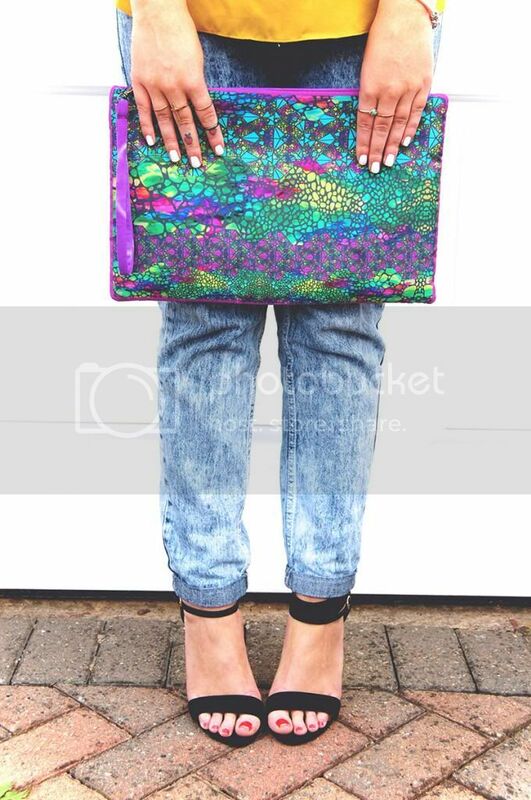 I'm in love with the 3rd and 4th clutch bag. Never heard of Nicola Brighton before but she seems like one to watch! I salute your creativity. These designs are just stunning. Keep it up. Amazing prints. I love them all. If you have any questions you can tweet me at @sarahlovesblog.